Fighting Parkinson’s, and you are extraordinary! You are extraordinary. 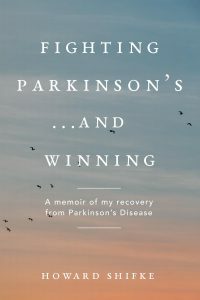 However, prior to getting to that point, I need each and every one of you to go back and re-read my previous post, Fighting Parkinson’s, and you are your own cure. There are 21 incredible comments from members of our recovery community, and you will be inspired to read what they had to say. Okay! Back to being extraordinary. When you decide to trust in yourself to be your own cure, trusting that not only have you picked the correct path using the Parkinson’s Recipe for Recovery&#0174, but also, that you will persevere and see it through to the end, then you are your own cure, and you are extraordinary! If you are taking medications and by doing the Recipe for Recovery you have not had to increase your medications, you are extraordinary. If you are taking medications and by doing the Recipe for Recovery you have been able to decrease your medications, you are extraordinary. If you were taking medications and by doing the Recipe for Recovery you have completely gotten off of your medications, you are extraordinary. If you have briefly tried medications and stopped and by doing the Recipe for Recovery you are remaining drug free, you are extraordinary. If you never have taken medications and by doing the Recipe for Recovery you have no intention of ever taking medications, you are extraordinary. If you have gotten on your path toward recovery by doing the Recipe for Recovery and you understand that each day on the journey is recovery, in and of itself, you are extraordinary. If you have fully recovered from Parkinson’s Disease by doing the Recipe for Recovery, you are extraordinary. If you realize that the journey you are on is life, and that Parkinson’s is just something you have to deal with in your life’s journey, plus you are doing the Recipe for Recovery and realize that you are your own cure, you are extraordinary! 19 Responses to Fighting Parkinson’s, and you are extraordinary! A latin motto says: “Si vis pacem para bellum” – If you want peace, prepare for war. So, thank you for givin us such a great fight plan 🙂 You’re, extraordinary. Carpe Diem! I think that means Fish (Carp) for Dinner (Diet)!or Caesars Salad for lunch! No! wait for it … Seize da day! How extraordinary all of a sudden I’m starved! And I’m extraordinarily grateful for this posting and all the extraordinary support offered by those in our community. Of course, I’m continually moved by your support Howard…thank you for advising that we re-read the last blog post so we could soak in the many heart-felt messages. It was wonderful to benefit from Marie’s wisdom and input again. And I especially want to share how very tender, joyously fragile and inspired I feel reading Joseph McEleavy’s poem which so beautifully reflects his indomitable spirit, courage and celebration of life (aspects I see reflected in us all…. I would like us to celebrate this!). Such a wonderful gift to receive on my birthday…I’m going to read it to my hubby in the next few minutes…what a lovely way to start the day! Yes, Joseph… “I’m still here”…. “I am still joyous optimism”…. THANK YOU! I am also LOL! and most importantly Grateful (not Dead) to an Extraordinary, Compassionate, and Loving Human Being. I think you all know who that is… A man who fought the drugfree war and bested the Parkie BEAST. I will not live a watercolored life, nor will I wear this coat of Stone, nor will I play the muted note. I’ll (joyfully) cry before Noon and laugh with the 5 blessings until my Mastoid aches. Thank you for your generous, kind and most welcome words. I love U’All and who I’m becoming! May the road soften at your footsteps may the breeze be always warm and when life gets a little too rough may God pick you up in His arms. Lovely, just lovely, Joseph! I love your sense of humor and your way with words. Thank you for being out there giving all of us inspiration and laughter! Teri: you made my day! Hi to everyone, I am overwhelmed by the love, caring and sharing of the last two blogs. I can only put my feelings to music so if anyone remembers the old hymn, Onward all you soldiers, marching as to war then you can sing along. Repeat the last three lines. 4th line going out the door. I apologize for the plagiarism. But my heart is singing, Marilyn. Thank you Howard and thanks to all of your awe-inspiring comments! There is so much power when people join together in a common quest! I love you all for the strength you give me! Thank you Howard for having the courage to take the road less traveled and showing us the way of hope! I would like to thank everyone in the Recipe for Recovery community for their comments. They are so inspiring. Thank you Howard for keeping all of us going with your positive and motivating words. Yes, we are extraordinary! We must and will persevere to full recovery. and about two weeks since i enjoyed half a day symptom free. These were small victories but they gave me hope. All of you–and you too Howard–are truly extraordinary!!! We,re all extraordinary but nice to know we are in the same boat striving towards a healthy outcome. Thanks everyone. Where does the path begin? How can I get my bearing? But the Creator has sent us a gift. His name is Howard Shifke. My mind cannot comprehend how much I owe him. Thanks to him each day I get new insights. Instead of stumbling and falling I have the courage to brave the slopes. Where can I begin to thank the Creator for sending him? Where can I begin to thank him? His personality shines out to warm our troubled souls. From the deepness of my heart I send a heartfelt thank you!